Boston College Eagles wide receiver Alex Amidon has decided to pass up a shot at a lucrative NFL career to focus on his dreams of becoming a U.S. Navy SEAL. 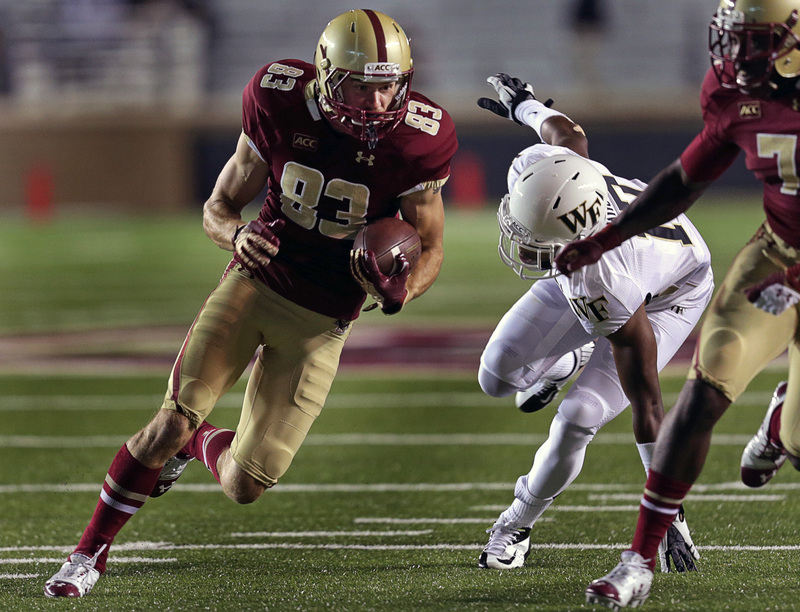 He finished his BC career with 191 receptions for 2,792 yards and 15 touchdowns. Amidon set school records for receiving yards in a season, as well as most receptions and receiving yards in a career. It is true that Amidon would not have been an early round pick, but this is much braver than a Michael Sam press conference. This entry was posted in Sports, Uncategorized and tagged Alex Amidon, Boston College, Michael Sam. Bookmark the permalink.